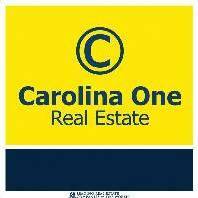 Carolina One Real Estate is the top Charleston Real Estate company. 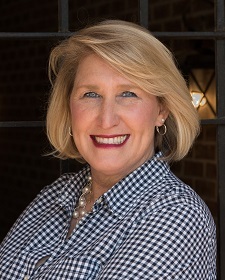 With more than thirty years of experience, Carolina One has earned a good reputation in the Charleston area through hard work and a strong focus on customer service. You'll find eleven locally owned and operated Carolina One offices located throughout Charleston, Berkeley, and Dorchester Counties. Additionally, there are more than 750 Carolina One real estate agents in Charleston. Carolina One participates in one out of every three real estate transactions in the Charleston area. Last year our real estate agents sold 47% of the properties that closed on the Charleston Real Estate MLS, making the company number one in real estate sales in Charleston. In fact, Carolina One has been the top real estate company in MLS sales for the past fifteen years. The company currently represents more than 2,000 properties for sale in Charleston in all price ranges. We are a professional team of real estate agents serving the market we know and love! Since a home is one of the largest assets most people will purchase in their lives, we believe the transaction should be handled with the utmost care and integrity. We consider ourselves a resource for information regarding real estate, whether it is investment, home repairs, renovation, rental properties, or just researching a current home's value. Our goal with each client is to form a professional but friendly relationship that lasts well beyond the closing of his or her home. For any kind of help within the challenging and exciting Charleston real estate market, look to our highly qualified Charleston REALTORS® to give you the kind of service you've come to expect from Carolina One Real Estate. I grew up in Clinton, South Carolina, a small town located northwest of Columbia. 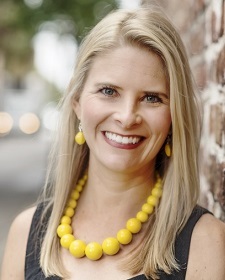 I moved to Charleston in 1998 to attend the College of Charleston, where I earned a B.S. in Business Administration. I have lived in downtown Charleston, West Ashley, Goose Creek, and Johns Island. I now live on James Island. After taking several real estate courses at the College of Charleston, I began my career with Carolina One Real Estate (which was then Prudential). I chose to work for this company because it was by far the leading real estate company in the Charleston area. Since real estate is a sales business and I never wanted to become a "salesman," I conduct business very differently from most real estate agents. I don't sell houses to people - I help people find the best home for their money in an area that suits their needs, and I leave the decision-making up to the client. My wife and I specialize in the Charleston, Mt. Pleasant, Daniel Island, James Island, and beach areas. When I’m not working, I try to spend as much time as possible with our daughters. I also love being out on the water, running with my dogs, camping, and helping with my family's farm in the upstate. I was born and raised in Charleston, West Virginia, but I moved to Myrtle Beach, South Carolina, when I was in high school. I relocated to Charleston, South Carolina, where I earned a B.S. in Psychology at the College of Charleston. I met Lee in college, and we were married in the summer of 2003. I began working for a law firm where I was a real estate paralegal for four and a half years. I have always had a great interest in and appreciation for real estate, which comes from my father, who is an investor. Over the years, Lee and I have bought several investment properties in Charleston, and we enjoy working with fellow investors, too. I also have a passion for teaching, which I've discovered is useful for guiding buyers and sellers in the real estate process. 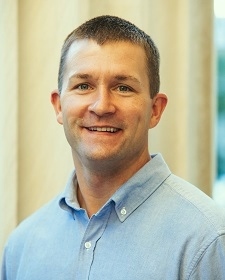 As Lee's career with Carolina One grew rapidly, we decided that we would make a good team with our combined knowledge of the area and closing expertise. 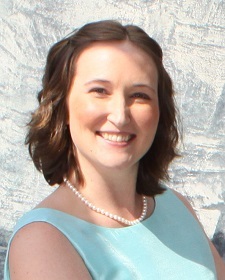 I became a real estate agent for Carolina One Real Estate in the spring of 2005. I am very thankful to have a job that I love and to be able to work with my best friend. Growing up in the small town of Clinton, South Carolina, I loved to visit Charleston as often as possible. Charleston offered such a range of things to do that I always hoped I could make my way down to the Low Country and live in such a beautiful and historic waterfront city. After graduating from Clemson University with a B.S. in Psychology, I moved to Charleston and earned an M.A. 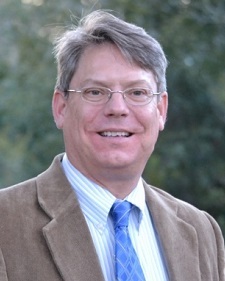 in English through a joint program at the College of Charleston and The Citadel. Twelve years ago, I began working for Lee and Katherine as their assistant. I eventually got my real estate license so that I could manage our growing team of agents and get more involved in helping our clients. I also spend a great deal of time working on our website. At this point, I've been working long enough to see many previous clients return and work with us again in moving up or buying an investment property - which is very rewarding. In my free time, I love to take my son to the aquarium, walk my dogs at the beach, wander the streets of Downtown, visit historic sites, experience cultural events like Spoleto, and eat at the amazing restaurants Charleston has to offer! Because of my father’s career in the military, I moved frequently during my childhood. I relocated to Charleston in 1992 and fell in love with the culture and history, but it was the friendliness and warmth of the people that captured my soul. I spent my first six years in Charleston working in the service industry and transitioned to real estate in 1998. Having seen and lived in many different areas of the country, I take a special interest in helping buyers relocate. However, in my almost two decades of Charleston real estate experience, I’ve also helped many locals buy and sell within the area. I take pride in providing unparalleled service as well as repeat business for past clients who choose to work with me even years after a transaction. During my real estate career, I’ve worked for several companies such as Prudential, Carolina One, and Brand Name. Carolina Elite currently holds my license. I was born in North Conway, NH and from there went to college at Baylor University in Waco, Texas. I earned a B.S. degree in apparel and interior design. After backpacking though Europe and living and working in Dallas, I decided to go on an adventure for 6 months and moved to St. Thomas, USVI. Well, 6 months turned into a year which then turned into 17 years! I owned 2 businesses there - one of which was a high end furniture company specializing in teak furniture with 2 locations in the US Virgin Islands. I truly enjoyed working with clients using my design knowledge to create beautiful interiors in the Caribbean style. I met my now ex-husband in the islands, and we had our daughter Samantha there (she is now 9). After relocating to the Charleston area I was lucky enough to be able to fulfill a lifelong goal of becoming a Realtor and selling beautiful homes here in the low country. I believe that my job as a Realtor is to help my clients find the perfect home for THEM and to make the entire experience enjoyable with the least amount of stress possible. I pride myself on being a great communicator and enjoy guiding my clients through each step of the way so that we all remain on the same page throughout. When I am not working at my dream job as a Realtor you can find me teaching spin classes, officiating weddings, or selling my own line of jewelry. I also love to go camping, boating, beaching, and exploring with my amazing little girl. With my heart and soul firmly in the Lowcountry, I bring a depth of knowledge and experience to a wide array of real estate services. 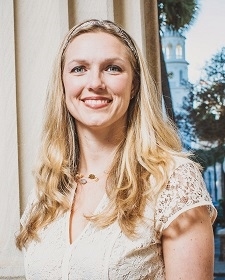 Born and raised in Charleston, I graduated from Bishop England High School and went on to earn a Bachelor of Science from the College of Charleston. A certified educator, I taught at elementary schools in Germany, Virginia, and Maryland. For over 20 years, I was a military spouse, and I gained valuable insight and knowledge on a variety of cultures and communities. When I work with clients especially who are relocating to Charleston from other cities around the country, I feel that I can really connect and understand what a move of that scale entails - especially when you add kids to the mix! After several military moves, I returned home to Charleston where much of my family still lives. The sense of warmth and hospitality that I learned while growing up in the Lowcountry are key trademarks in my work, and I love sharing Charleston’s unique traditions and way of life. I am a lifelong Charlestonian with deep ties to real estate. From a very young age, I have always loved real estate and knew it was what I wanted to do in my career. As a child, I would even show houses with a family friend who was a top producing agent. As the daughter of a real estate investor, I moved 21 times on James Island before I even went to college! I graduated from James Island High School and earned a Bachelor's Degree in Communication and a minor in Psychology from Charleston Southern University. Following graduation, I immediately earned my real estate license and began working for Carolina One Real Estate (which was then Prudential). At that time, I also married my sweetheart, Ryan, who graduated from The Citadel. 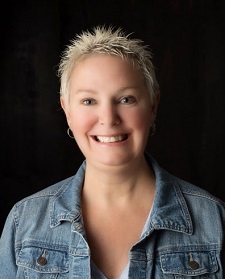 It is hard to believe that I have now been a real estate agent for over 15 years and I still absolutely love what I do. My passion and desire is to serve others through real estate and build lifelong relationships. I am incredibly blessed to work in a field that I love, with wonderful people, and in a fantastic market like Charleston. I currently live in Mt. Pleasant with my husband, two daughters, and our goldendoodle, Tango! We are very involved in our local church, East Cooper Baptist Church, and our daughters' school, Palmetto Christian Academy. In my free time I enjoy spending time with my family, reading a good book, and going to the beach. I grew up in Southern Pines, North Carolina. I worked in the garment industry for most of my working life. I was a sales representative for Guy Bailey and Associates, a family owned business that sold names like Cambridge Dry Goods, Cutter and Buck Ladies Wear, and British Khaki. I was very fortunate to be able to travel the southeast for my job, since I met my wife in Charleston while on a business trip. She owned a clothing store, Porgy and Bess, in downtown Charleston. I moved to Charleston in 1997, and we were married in 1999. However, I still had to travel a great deal for my career. After having our second child, I decided to get into the real estate business so that I could spend more time with my family. We have two children, Mackey and Hannah-Gray. Transitioning over to real estate was one of the best decisions I ever made. 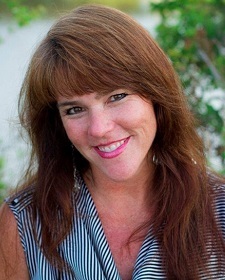 I specialize in listing homes and also helping people relocate to the Charleston area. Email me new listings that match my search. Ready to discover more about our beautiful city? Our Charleston Real Estate Guide provides information on current housing market trends, buying and selling tips, the best areas to live, and more!